There will be a change to our venue for Friday's social. 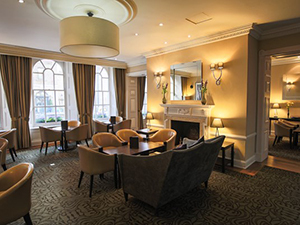 We will meet from 8.15pm onwards in the ground floor bar of the Hilton London Euston Hotel (see picture), situated at 17-18 Upper Woburn Place WC1H 0HT, near Euston Station. The dining arrangements remain the same. For those wishing to have a meal before the social, we will have dinner at the nearby 'Abertini' Italian restaurant at 16-20 Chalton Street NW1 1JH at 6.30pm . At the end of the meal, we will walk the short distance from the restaurant to the bar, about 5 minutes. Please note: the dinner is now FULLY BOOKED. SATS member Phillip has planned this congenial tour, based on his home town of Tunbridge Wells, visiting several castles and other historic sites and savouring the cuisine at a variety of restaurants and inns. If you would like to participate in any or all of the events described below, costs and details will willingly be provided, so please 'contact us'. 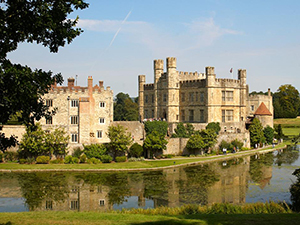 After checking in on Friday afternoon, we will set out for the spectacular and historic Leeds Castle (pictured), and later will have drinks and dinner at the restaurant overlooking the floodlit castle. 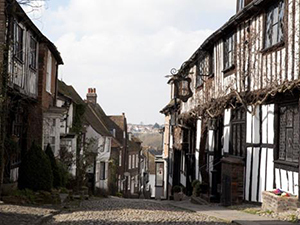 On Saturday we will visit the even more ancient Bodiam Castle, then the winery at Gusbourne, and after a light lunch and wine tasting, will be free to stroll round the ancient town of Rye (see left). Later in Tunbridge Wells, there will be our customary suited dinner at our hotel’s ‘Restaurant Seventeen’. 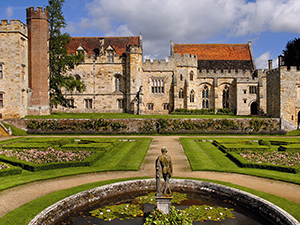 Sunday will include a tour of picturesque Penshurst Place, with lunch at the local ‘Leicester Arms’ village inn, and then on to the National Trust’s ‘Ightham Mote’ . Monday will begin with a visit to Hever Castle, with a guided tour and time to spend in the gardens. There will be a two-course lunch at the traditional Henry VIII pub at Hever. For those staying an extra day, there will be a dinner on Monday evening at The Ivy restaurant, and Tuesday will feature a trip on the Spa Valley steam train and lunch at the Duke of York pub in the famous Tunbridge Wells Pantiles. After some free time, we will have a pre-dinner drink at the Opera House pub and dinner at the highly regarded Thackeray’s restaurant. We will meet from 8pm in the traditional-style 'Smith & Whistle' Bar at the Sheraton Grand Hotel, at 112 Piccadilly, W1J 7BX, opposite Green Park. For those interested we will dine at 6.30pm, in their 'Mercante' Restaurant. The cost will be around £40-45 inclusive of wine and service for three courses. 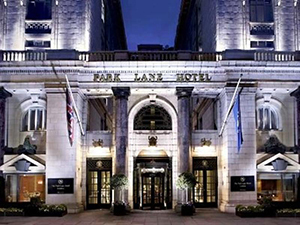 This is a well-established hotel, originally called the Park Lane. If you would like to have dinner, please 'contact us'.